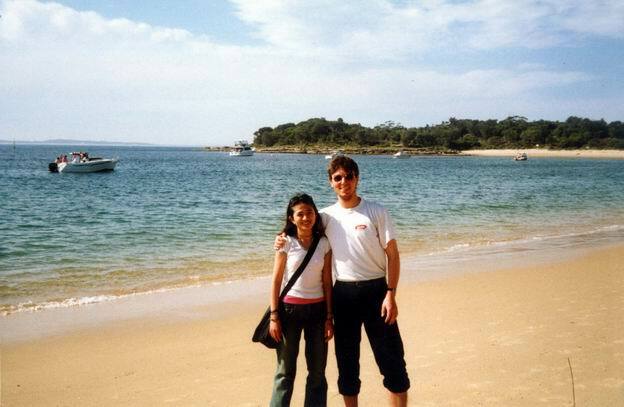 With Arty on Jibbon Beach, Royal National Park, Sydney. Jibbon Beach in Royal National Park, beautiful place full of calmness. On previous trip into this place I met a sort of hippie guy here, who moved in from north Sydney, as he said, to find peace in mind here. I believed him. May be, this place was that same for him as church for Christians or Mecca for a Muslim. It is hard to describe this feeling, this beach looks like thousands of others, but though..